If SMEs are crucial to the survival of the British economy, and recruitment is one of the biggest industries in the UK, why then are they failing to receive the financing needed to maintain a steady cash flow? 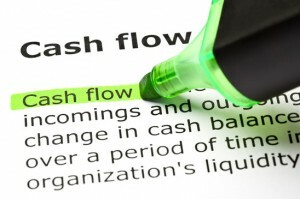 A lack of cash flow can mean restricted company growth, a cut down on overheads, and could possibly lead to solvency. It could also have a domino effect on problems unrelated to finance such as a stressful working environment, missed opportunities and strained relationships with long standing clients who are also struggling with similar cash flow problems. Recruitment agencies form part of the B2B industry where clients don’t expect to pay their invoices immediately but the staff members who do the work expect and need to be paid on time. Unless new legislation is introduced to ensure payment within 30 days or the introduction of harsh penalties for late payment (although these two solutions have their own devastating financial effects for the economy) this will be a continual problem for small businesses and recruitment agencies. In this economic climate the fear that the UK will go into a double dip recession has caused the big banks to go into damage control; restricting overdraft limits or cutting them out completely, refusing applications for first time loans and looking to increase interest rates. Times are particularly tough for young companies that are just starting out as they have yet to develop a good credit rating. The British government initiative Project Merlin-an initiative to make it easier for small businesses to receive loans from the big banks-has fallen short of its target of £76bn in loans to small businesses by £1.1bn. The big banks claim this short fall is due to a lack of applications from small business but a recent survey by Simply Business revealed that a third of small business that applied for a small business loan were rejected. For SMEs, like recruitment agencies, this signifies that there are limited options to create a steady influx of cash that is required to stay afloat and create growth. So what can you do when you’re waiting for cash to come in so you can pay your own overheads? If all this doom and gloom seems a bit too much, don’t worry. Instead look towards alternative financing methods. Many SME B2B and B2C businesses are turning towards invoice financing as a viable option for securing their long term financial standing. This cash for unpaid invoices allows companies to have an advance on funds of up to 90% of the invoice to immediately pay off their own overheads and re-invest money into the company (or where ever they like!) whilst waiting for their clients to pay them. As an added bonus invoice financing companies deal with all the chasing up of clients to pay off their debt meaning that company time can be redirected elsewhere and those long standing customer relations stay intact. This guest post was provided by Calverton Factors, who offer Recruitment Financing to young or established recruitment businesses. That would sure bring in more business but I am still unsure as to the outcome if we get too many customers behind on financing plans.